After more than 31 years in River North, Catherine Edelman Gallery is relocating to 1637 W. Chicago Ave., in the growing West Town gallery district. The newly renovated building gives CEG a bi-level space, occupying the ground floor and lower level, expanding its footprint to 4400 sq. ft. The new gallery includes four exhibition spaces, a dedicated video room, a large viewing room for collectors, and an open area for educational programming, creating a flexible environment. CEG will continue to present living artists whose work expands the dialogue of photography. Free educational discussions with leading Chicagoans will accompany all exhibitions, helping to contextualize issues presented. We are thrilled to inaugurate our new space with Joel-Peter Witkin: From the Studio. The exhibition opens May 3 and runs through July 3, 2019. Joel-Peter Witkin will be joining us at the opening on May 3 from 5:00 - 8:00 pm. 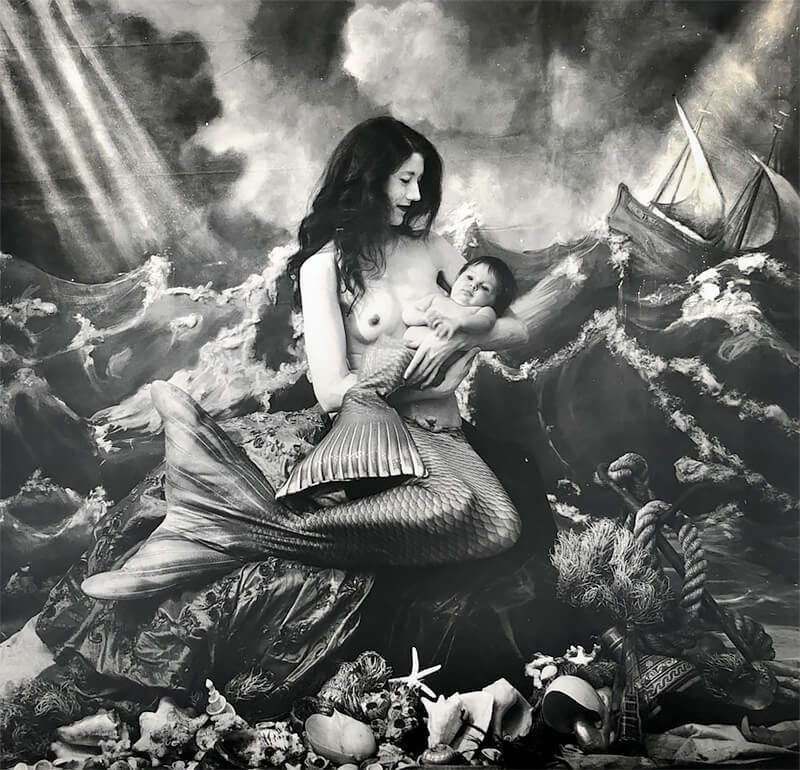 For more than 60 years, Joel-Peter Witkin has stayed true to his mission: to create photographs that show the beauty of marginalized people by placing them into art referential tableaus, often laced with Catholic overtones. His work features hermaphrodites, post and pre-op individuals, and people born with physical abnormalities. In his eyes, all people are beautiful, regardless of societal norms. Much has been written about Joel-Peter Witkin. With more than 25 monographs dedicated to his work, there is no denying his importance in the art world. Recently, Witkin revealed he was diagnosed with dementia. As he approaches his 80th birthday, he graciously agreed to speak with Catherine Edelman about the disease, and the effect it has had on his creativity and life. Catherine spent two days in his home/studio in Albuquerque with filmmaker Ben Kolak (Scrappers Film Group), talking with him about his life, his art, his legacy, his views on God, and what he hopes he has contributed to photography. A short film called From the Studio will be presented alongside some of his most well known works including The Kiss, Siamese Twins, Harvest, Bee Boy and Woman Once a Bird, as well as new work including A Mermaid’s Tale, the last photograph he was able to make before the onset of dementia, which has left him unable to create art. CEG is honored to recreate the set of A Mermaid’s Tale in one of its galleries, which includes the painted backdrop, shells, and objects that formed the making of this amazing photograph. The exhibition will feature more than 25 photographs, 80 drawings, as well as sketchbooks and journals, darkroom tools and cameras, letters and contact sheets, offering viewers a glimpse inside the mind of one of the true masters of photography. From the Studio is supported by educational programming that will be held in the gallery. The schedule will be posted on our website.